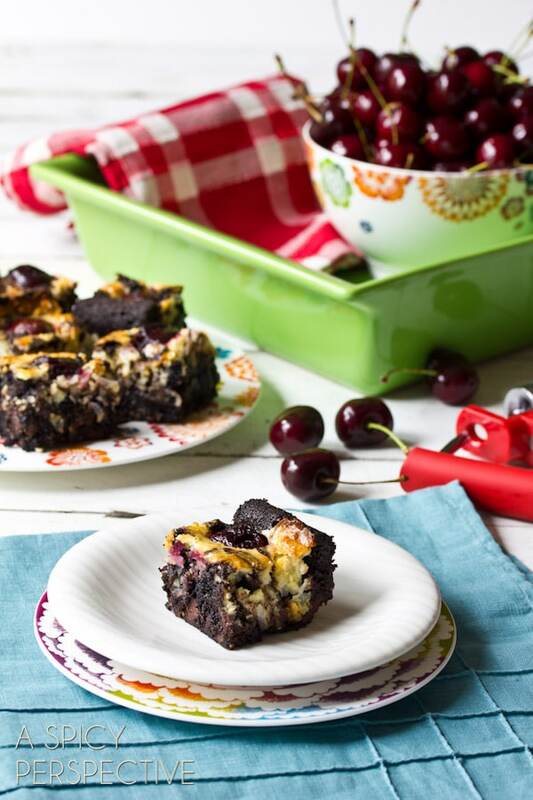 This easy brownie recipe with creamy coconut swirls, and topped with fresh ripe cherries, is something to experience. In fact, I kind of feel like a bad person, showing you a picture of them when you can’t reach out a grab one… Sorry. A friend of mine talks about candy, with a chocolate cherry coconut combination, that someone brings her from Australia each year. Anyone know what these candies are called or have tried them? Anyway, I can’t stand it when I hear about something amazing, but don’t have the means to experience it for myself. Therefore, every time she mentions these illusive bars (at least Illusive in the US) I can’t stop thinking about them for months on end. My latest bout of Cherry Ripe Envy lead to the creation of these magnificently decedent Cherry Coconut Easy Brownie Recipe. So in a way, my manic obsession was a good thing. Now I (we) can have Australian Cherry Ripe inspired treats whenever we want, mate. This wickedly wonderful Cherry Coconut Easy Brownie Recipe starts with a dark chocolate base, speckled with chocolate morsels for good measure. Then a thick creamy coconut mixture is swirled over the top, followed by fresh pitted cherries. 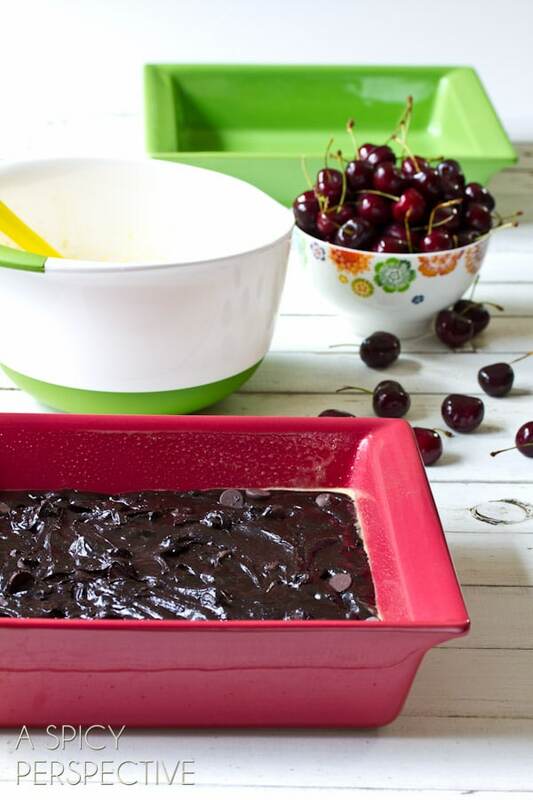 As the brownies bake, the ripe juicy cherries settle into the brownies realeasing their juices into the batter. So that each bite is a fusion of dark, tart and creamy tropical flavors. You’ll have to make this easy brownie recipe and decide for yourself. My Cherry Coconut Easy Brownie Recipe was a HUGE hit at our house, and makes a marvelous treat for Valentines Day or for picnics. Preheat the oven to 350 degrees F. Butter (or spray) a 9-10 inch square baking dish and set aside. Using an electric mixer, beat the butter and sugar together in a large bowl. Add the eggs, coffee granules, and salt. Scrape the bowl then slowly beat in the four and cocoa powder. Scrape the bowl again and mix in the chocolate chips with a spatula. Pour the batter into the prepared baking dish. Using a clean bowl and beaters, beat the cream cheese until light and fluffy. Add in the sweetened condensed milk and beat until smooth. Then add in the egg and beat until smooth. Stir in the coconut until well combined. Pour (or scoop) the coconut mixture over the brownie batter, distributing evenly. Use a spatula or butter knife to swirl the coconut mixture through out the batter. Then place the cherries on top in 5 even rows of five. Don’t push them in, but let them sit right at the surface. Bake the brownies for 45-60 minutes, until a tooth pick inserted intot he center comes out clean. Cool for at least 30 minutes before cutting. 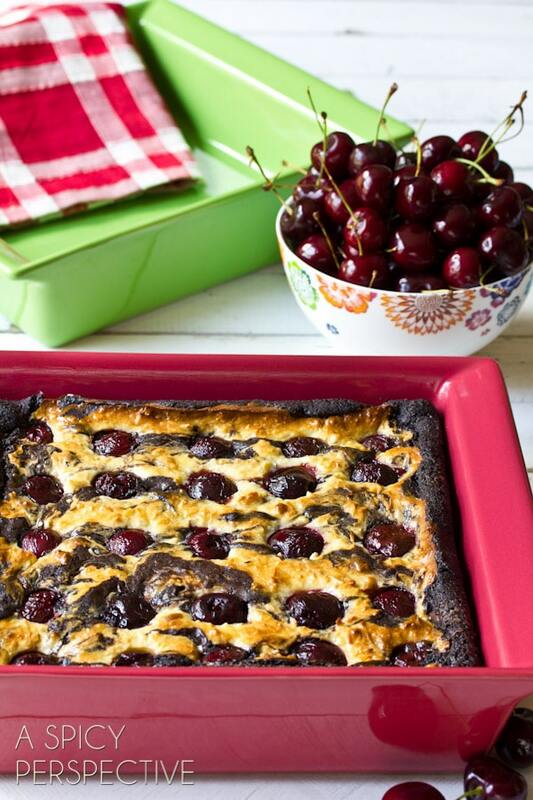 Pingback: 7 Summer Recipes With Cherries! I would make stuffing in one, a chicken in the other, and these bars in the third! Love all the colors! I would make… THESE BARS!! or my famous lasagna! Delicious take on chocolate-covered cherries, and I love the coconut in there! If I had a pan as pretty as that, I think I’d want to make cherry coconut easy brownies in them – because you make it look SO good! These look AMAZING. can’t wait to try them! The baking dishes are so pretty…they would be perfect for my brownies! Incredible! I want to dive in. 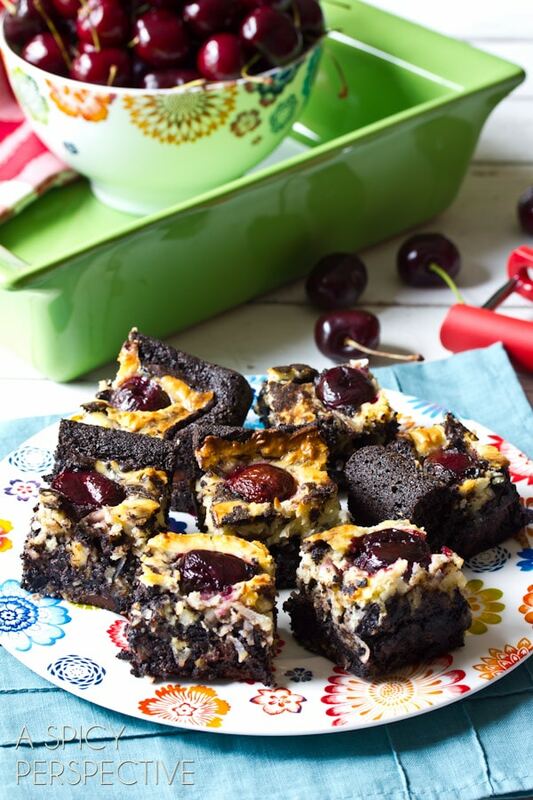 Wow these brownies look incredible, those cherries are just perfect!! 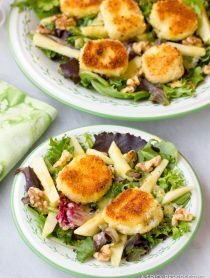 I think I’d be making this recipe if I got these baking dishes because I am so craving it right now! Oooh yes, pumpin bread sounds deelish!! I’m a sucker for anything with chocolate and cherries. The brownie recipe sound divine & I’ve needed something new to try. If I won these 3 lovelies I would keep the apple green for myself (I just painted my kitchen apple green or appletini) and the other two I would share with my sister & the step-daughter that has her own home! They would all want to wrestle me for the apple green, but I bet they would be thrilled to receive a pop of color for their kitchens! Peaches, right now, are so delicious so I would make a peach crumble. When I think of brownies, I don’t normally think of cherries and coconut but you make it all look good together. Today is Sept 11th and my heart is heavy with the sadness of todays meaning of lives that were lost. I will pray a little longer today and be more thankful. I’d like to make a nice lasagna! I would love to use one for my favorite breakfast strata! I would like to make brownies. It’s hard to think of making something else after looking at the photos of yours! Love those bold colors! I’d make a lemon yogurt cake. I live in Australia and I tell you that your version looks soooo much better than the Cherry Ripe i buy here! Shame I’m not in the US to enter your comp, I love the look of those Emile Henry baking dishes. I would make Thomas Keller’s potatoes au gratin! The first thing I would bake is a Mystery Mocha. I would have said your brownies, but there are no more fresh cherries to be found around here. I want to pick apples and make an apple crisp! I would make Pommes dauphne which is kind of like a scalloped potato dish. Love Emile Henry dishes! They are awesome. I would make blondies! The real question is where did you find such fantastic cherries. All of my markets are empty of them. 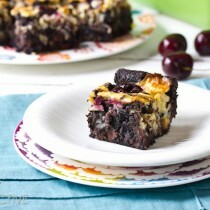 I love the idea of fresh cherries in brownies! 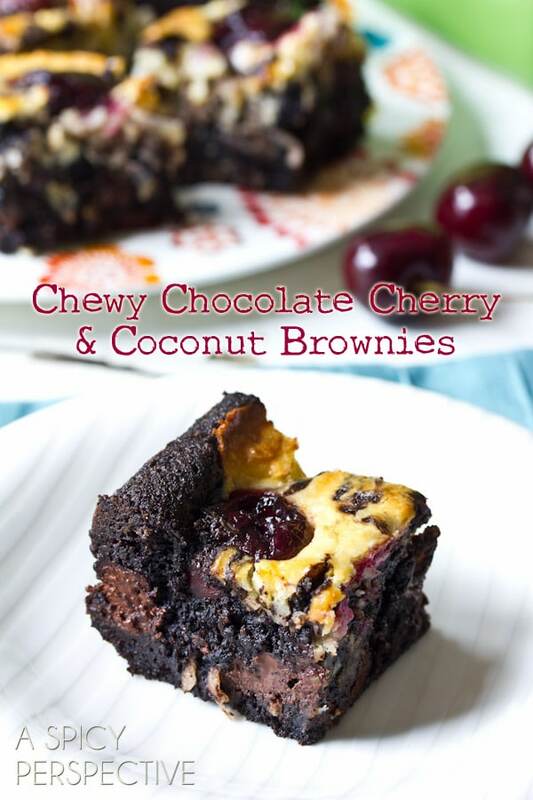 I’d love to bake these cherry coconut brownies…two of my favorite flavors! Otherwise, I’d be making an apple crumble or my nana’s bread stuffing. You know those desserts you see at bakeries and your like “HOLY CRAP I NEED THAT IN MY MOUTH RIGHT NOW!!!!”???? Well, I think this is that dessert. Holy dear goodness do these look good. You should ask your friend to bring you a sample next time she goes to Australia.. then you can compare and report to us if you came close to the original. I think you topped it — these look amaizing! On my to-do list for this week! Definitely some kind of casserole.. or sweet delicious apple crisp! I would make Aussie chicken with the baking dishes! These brownies sound absolutely wonderful! 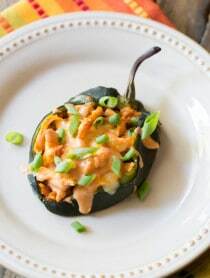 I can not wait to make them! What a fabulous combination!! I like brownies but these sound even more delicious! I would make chocolate chip cookie cakes! My family loves them! I would start with a pumpkin bread for Fall!! Your brownie looks so yummy and easy. I would bake the coconut cherry easy brownie first with the Emile Henry baking dishes if I win. Thanks for this giveaway! How gorgeous are these brownies?!! I want to make apple crisp in one of those baking dishes! I’d like to make a fruit crisp before the summer fruits are out of season. Brownies with pecans and cream cheese. Oh my goodness those brownies look phenomenal. I might back them first if I can find myself some fresh cherries in season. But since that’s doubtful at the moment, I might just have to go for some regular brownies. It’s been a while since I’ve made brownies and now they are on my mind. I’m in love with these flavors! Oh *yum*! These look/sound heavenly! This is a rough one. One dish would be my grandma’s best ever Chicken Enchiladas and the second would be a fantastic layered Pumpkin and Cheesecake that my husband adores in the fall/winter but really wants all year. Grandma’s Chicken Enchiladas would be perfect for this dishes. As always, good luck to all and have a great day. I would make something with eggplant because I just picked the last of them from my garden today. I’ve been perfecting brownie recipes. LIke, REALLY great brownies. I would bake them in this! Fab brownies, I’d have to try these first! I think I’d have to bake up some cherry brownies now! They sound so yummy! I would LOVE to bake up a batch of those cherry brownies! I would make the brownies that are shown they look deeeeelish! The brownies and the pans look delicious! i would have to bake brownies or bar cookies first! I love the colors of those pans so much. Just a killer color especially for fall! I’d bake a sweet potato casserole. Maybe a little apple cake to usher in fall. Probably the pretties brownies I ever did see Sommer! I would make some Apple Crisp. My goodness brownie this sounds irresistible. I´d certainly try this one out. How serenipidous–lately I have been thinking of souffles in a rectangular dish. 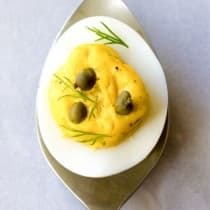 I´d love to try it out in the Emile Henry Square Urban Baking Dishes! I won’t be able to stop thinking about these brownies until I get some! Love those baking dishes, so pretty!! I’d like to bake cake. 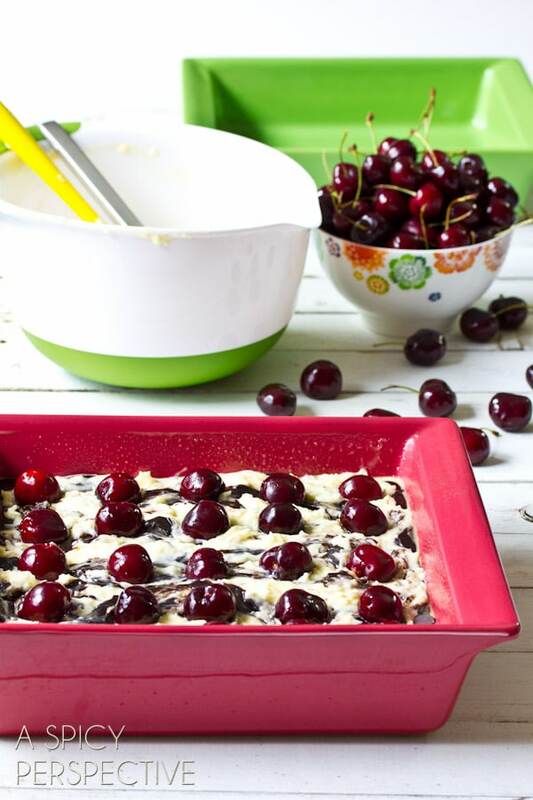 The brownies as pictured look fantastic…they are on my weekend list of things to do..fresh frozen red cherries just waiting in the freezer………..looks fantastic!!! Autumn is days away and I am craving an apple/cranberry crisp! Those are so magical! Seriously. What beautiful brownies, and I must say that those pans are just lovely. Thank you for sharing both with us. Bring on cherries! I have been craving lasagna lately. These pans would be perfect for it! i’m going to make these brownies!! I’d bake either brownies or s’mores bars. These brownies look so chocolatey and decadent, and what could be a better addition than cherries AND coconut? These look fabulous! I think I’d make a cobbler in one of these dishes. Something with figs in it! I’ve been craving them like crazy all of a sudden! Brownies or Butternut squash or meat loaf…or everything! I’d love to make this brownie. Looks heavenly! I would make a peach cobbler. Last one of the summer.. I would make my mother’s apple cake. I would bake a chicken and dumpling casserole! Pumpkin snickerdoodle bread and my Aunt Anne’s apple cake! 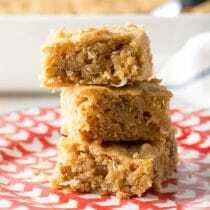 coconut macadamia nut blondies or some kind of casserole dish! Cherry Coconut Brownies of course! They look awesome! I would definitely be making these brownies. Chocolate and cherries together are just magical! I’m running to the store right now to get some fresh cherries!!! I have one bag of cherries and I am making a Cherry Caflouti. I think that is how you spell it! 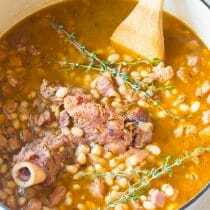 I love that recipe. That is the one I have to make with fresh cherries every year. My fave, I don’t like cherries cooked except for this. Crazy, huh? I love to just eat them! OMG, I would definitely bake! I think I would try a new cake recipe that I am working on! or Salted Caramel Brownies…yummo!! I’d bake a cobbler first, yum! I think I’d like to see some pumpkin brownies in one of those pans coming out of the oven at my house….yep, that sounds super-yummy to me and it will look PRETTY too! What would I bake first? I think I’ll start with these wonderful brownies! These look like a fun combo! I would bake pumpkin cinnamon rolls. MMMM. Looks amazing! I would first make some sort of baked pasta dish! Love the colors. Would definitely make something fallish like pumpkin bars. Oh the raspberry dish is gorgeous. I think a cherry inspired recipe would do it. Thank you for the giveaway. Mmmmm. These bars look GREAT Sommer! I am making several lasagnes today…sure wish I had these baking dishes! These are wonderful! Lasagne would be my pick. Even though it’s 101 outside, I’ve been craving comfort food! I’m turn between making chocolate peanut butter chunk brownies or zucchini and chickpea lasagna. Breaded zucchini in marinara sauce topped with Parmesan cheese. I love those dishes and the colors are pretty amazing too! I would make a big batch of brownies! I would make a vegetable casserole. I need to buy some cherries soon! Thanks for the reminder. These Brownies and a vegetable lasagna !! I would bake a squash casserole…my favorite. Thanks. I would totally begin with brownies, for sure! These sound so good with the cherries in them! 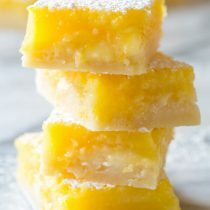 Lemon Bars! or Pecan Pie bars! Now these look terrific! 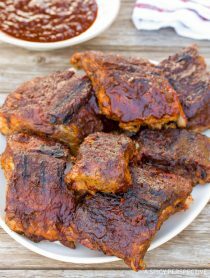 Not only will I make these, I’ll also share the recipe with my Aussie and Filipina friends! They’re going to love these! The first thing i would bake is this super moist Banana Bread Pudding Cake with a rich buttery caramel-flavored glaze that I been eyeballing lately, sounds amazing! I will definitely try these brownies, as all of my family members are coconut fiends. Thanks for the opportunity to win one of these awesome dishes. First, if I win one of these beauties, will be a veggie/fish bake that we do for dinner at least once every two to three weeks. Any fresh veggies with herbs from the garden (usually zucchini, onion, garlic, oregano, basil, salt, pepper etc., etc) topped with spinach, then tilapia (or any fish, for that matter & sometimes adding shrimp), and then top off with tomatoes and some lemon juice & sometimes Old Bay. Bake for 30-45 minutes (depending on depth) at 350 degrees. MMMM…yummy! Love a dish that you can bake in and take right to the table. I definitely make some kind of brownie! Think I would try your Cherry-Brownies the first time I use these! Looks sooo tasty! Love all the colors! The first thing I would make is lasagna. Delish! Love all the flavors. Thanks for the chance.